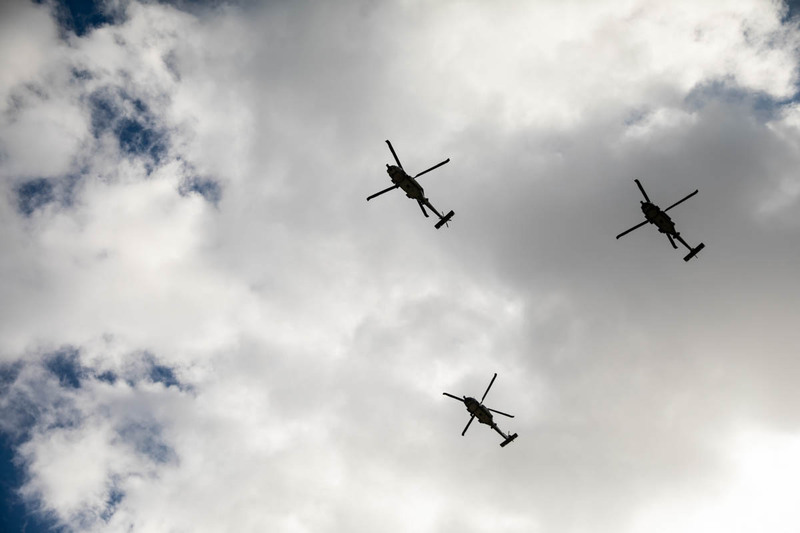 1HSM 40 Airwolves performed a flyover as an early tribute for Veterans Days, which took place the day after the game. 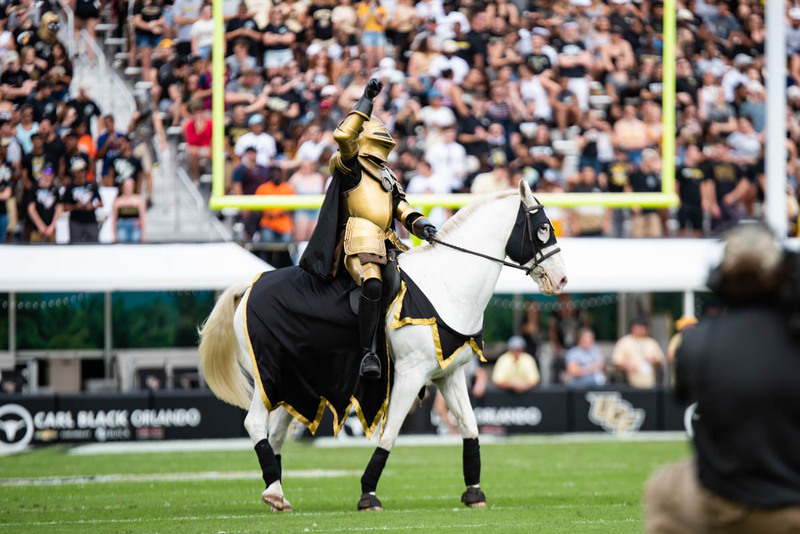 2Before kickoff, a Knight in armor rode in on Pegasus. 3Special throwback helmets were the inspiration for this year's Homecoming helmets. 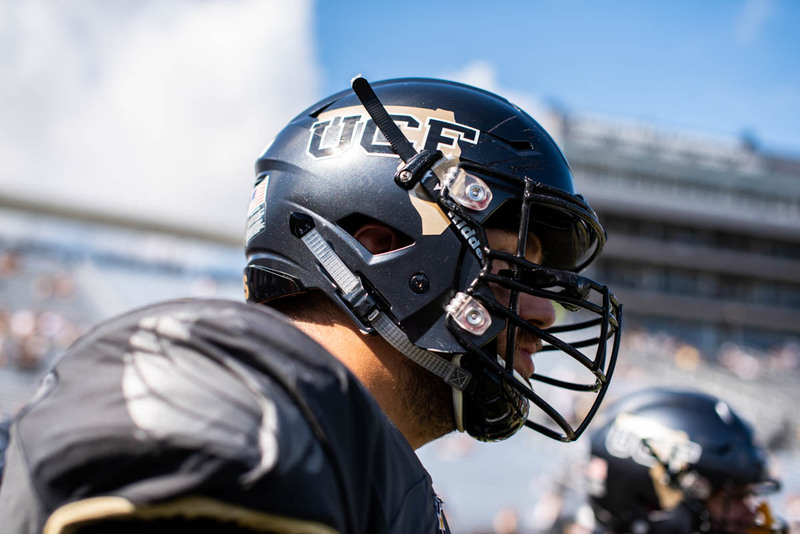 This design was previously used on UCF's football helmets from 1985 to 1994. 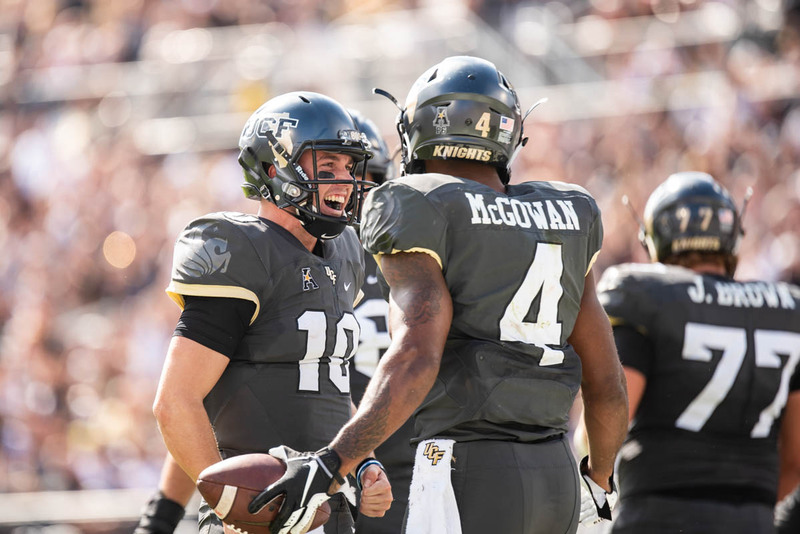 4Quarterback McKenzie Milton celebrates with running back Taj McGowan after a touchdown in the first quarter. 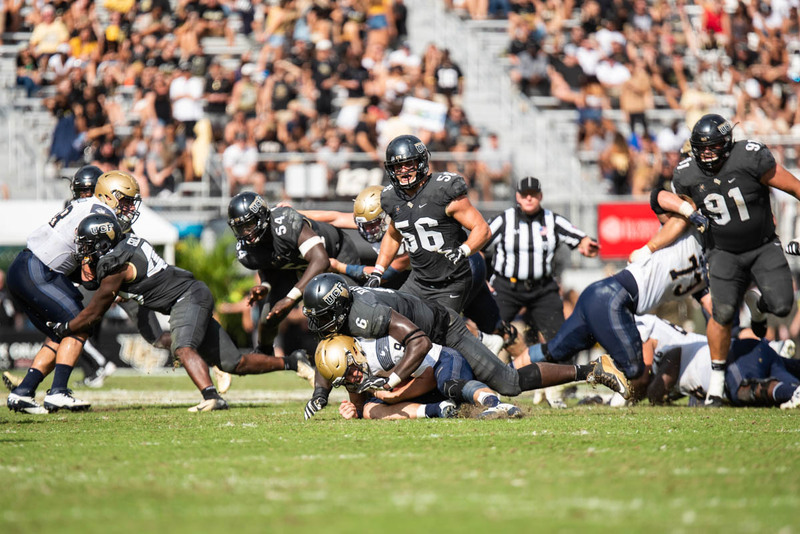 5Defensive lineman Brendon Hayes sacks Navy's quarterback. 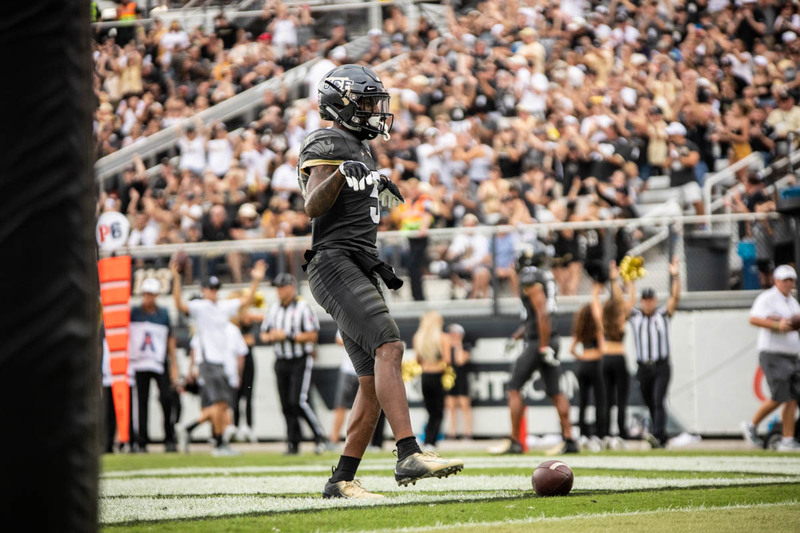 6Wide receiver Dredrick Snelson celebrates after he scored a touchdown in the second quarter. 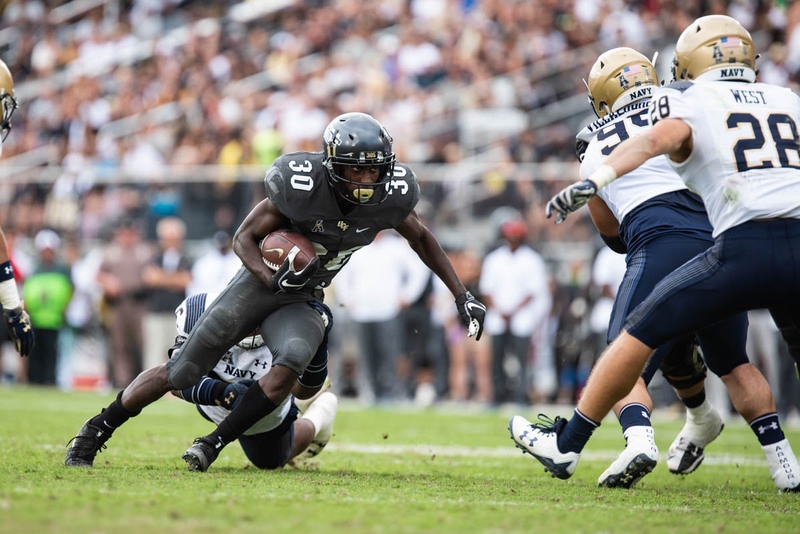 7Running back Greg McCrae led the team in rushing with 101 yards and a touchdown. 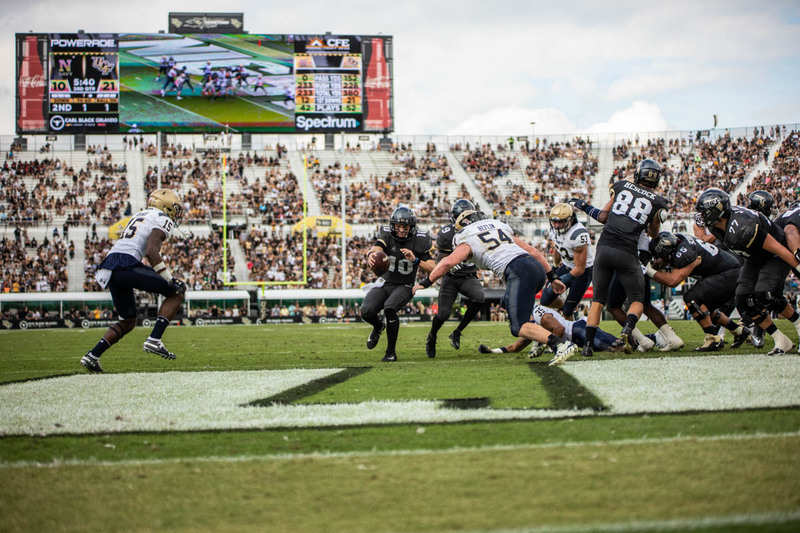 8Quarterback McKenzie Milton stretches across the end zone to score in the third quarter. 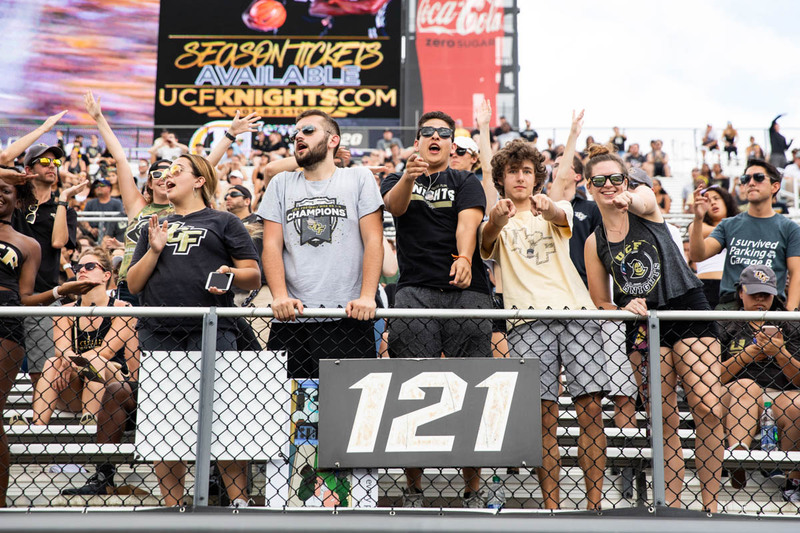 9Fans crowded the stadium to cheer on Orlando's Hometown Team. 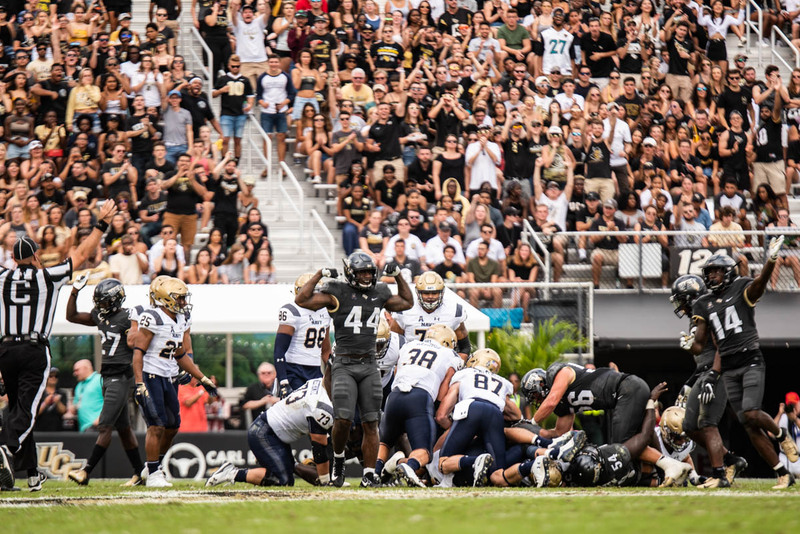 10Linebacker Nate Evans celebrates after UCF stops a fourth-down attempt late in the game. 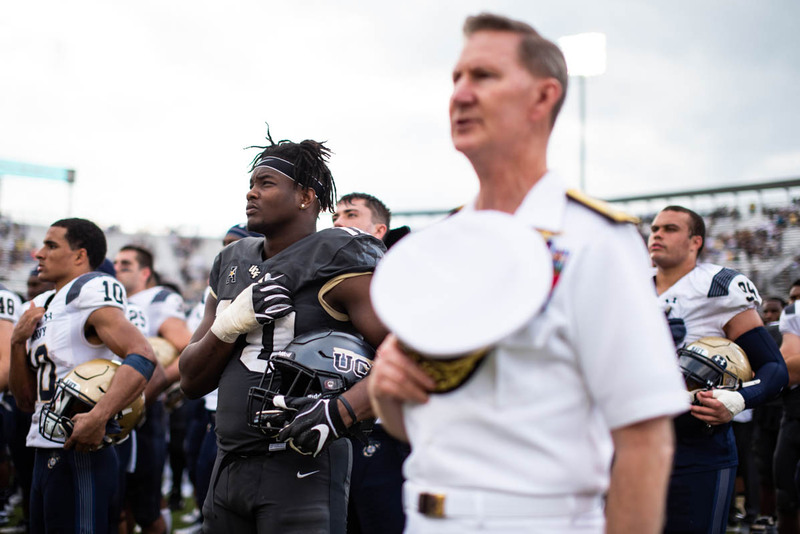 11After the game, UCF football players and members of the U.S. Navy joined in each others' alma mater.